The International Criminal Court has officially granted Palestinians observer status at a meeting of the 122 member countries. This is a pivotal step on the way to Mahmoud Abbas’s strategy to press war crimes charges against Israel. It is still unclear if Palestine can actually sue Israel, because the court’s judicial body has not recognized it as a state. 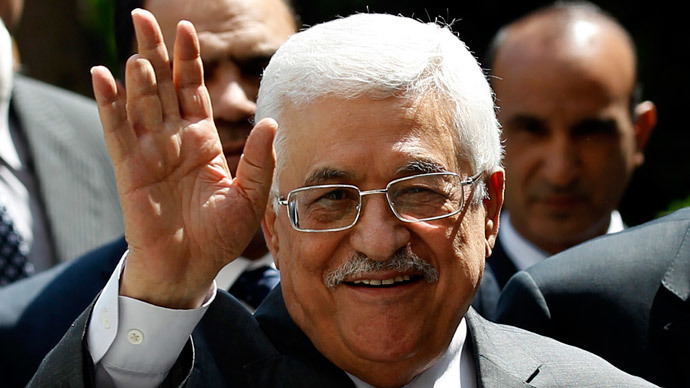 Abbas is planning to pursue a full membership to the court if the UN Security Council fails to act on the proposed resolution to compel Israel to withdraw and cease all activity beyond the pre-1967 demarcation line. Today, the State of #Palestine was invited to participate at the #ASP13 of the #ICC as an observer State under rule 94 for the first time! The outgoing president of the ICC’s Assembly of State Parties, however, pointed out that this was more a symbolic and non-binding step that would not have effect on future decisions by the judicial body. “The assembly takes the following decisions on procedure independently and without prejudice to decisions taken for other purposes, including the decisions of any other organization or any organ of the court concerning legal matters before it,” Tina Intelmann told reporters, as cited by the Jerusalem Post. “At the same time I recall that Rule 94 of the rules of procedures states that at the beginning of every session of the assembly the president, subject to the adoption of the assembly, may invite states which are not parties to the Rome Statute and which have not signed the final act nor the statute to attend the assembly proceedings,” she said. The Rome Statute is the ICC’s founding document. If Palestine were to become party to it, the International Court would have a free hand in assessing all alleged war crimes committed on Palestinian territory. Although it should be noted that Israel isn’t a member itself, and only its own membership in addition to a Palestinian one could open it up to ICC investigations. The chair then listed “the state of Palestine” among the attendees invited for the Monday session. Others could have voiced objections, but none did. "The Palestinians have been promising to join the court but have repeatedly delayed action," HRW International Justice Counsel Balkees Jarrah told the AP. "We've been calling on them to join the court which could open up the prospect of justice for serious crimes by all sides." His sentiment was boldly echoed by the executive director of the international organization, Kenneth Roth. "Palestinians should stop futzing around with 'observer status' & just join the International Criminal Court already," Roth told reporters on Tuesday. HRW has been among the more vocal bodies on the issue of Israeli war crimes, which gained a sharper prominence over the summer, when operation Protective Edge took the lives of thousands of Palestinian civilians, leading to numerous legal probes, both international and domestic.